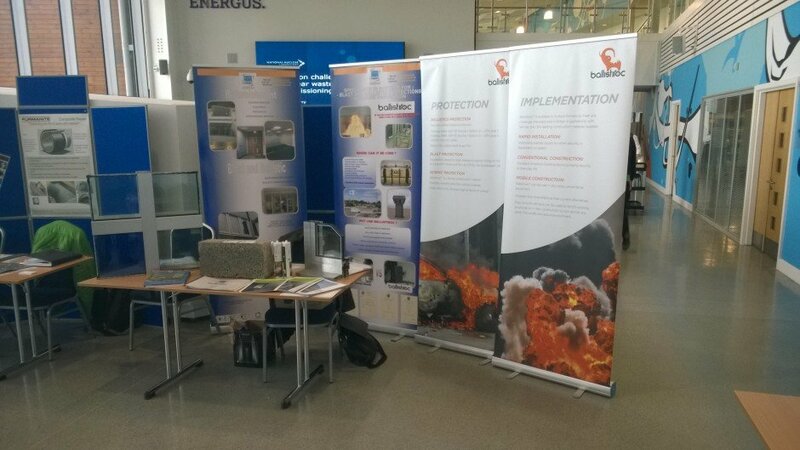 RWS LTD was invited to attend an event held by The Nuclear Institute (Cumbria Branch) at the Energus Centre in Workington. RWS was asked to demonstrate some of the products we are able to supply to the nuclear industry and related subsidiaries. 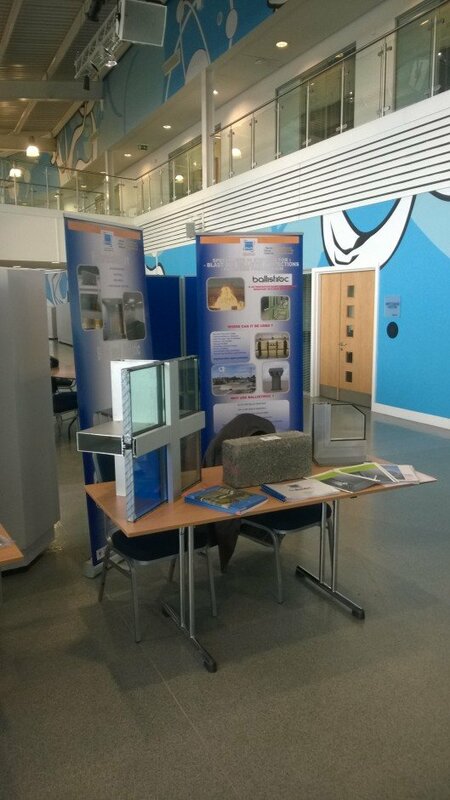 We used this opportunity to showcase our blast and ballistic products, in particular high security curtain walling, doors, windows and Ballistiroc products. Specifically, RWS demonstrated the manners in which these can be implemented for a variety of projects and applications. Using physical and video demonstrations we fielded a substantial range of enquiries into these products. 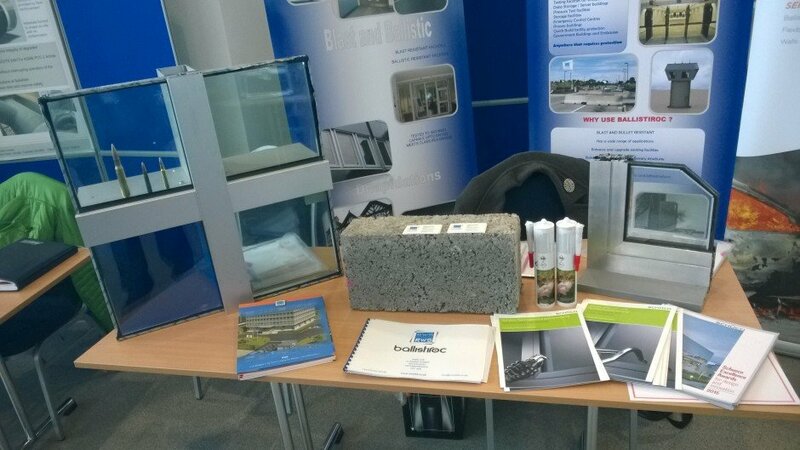 The response was particularly favourable to the demonstrations matching Ballistiroc walls with Schuco blast and ballistic windows and door systems (in terms of security and protection of assets) was particularly favourable. A lot of interest from non-nuclear industries was apparent too. Our knowledge of blast and ballistic products attracted interest from waste and recycling, oil and gas, testing facilities, energy production companies and monitoring stations. We also received enquiries from military sources concerning the application of our wealth of information and products to their sector. The event was hugely beneficial to RWS Ltd and our initial forays into the nuclear industry. A number of excellent new contacts were made with organisations in that arena. 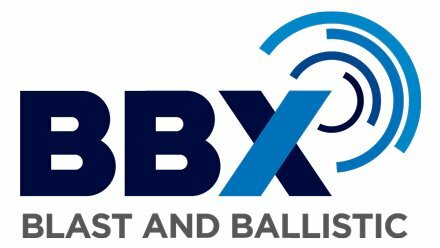 We are looking forward to attending more events of this nature to promote our knowledge and specialist blast and ballistic services and specialist application.